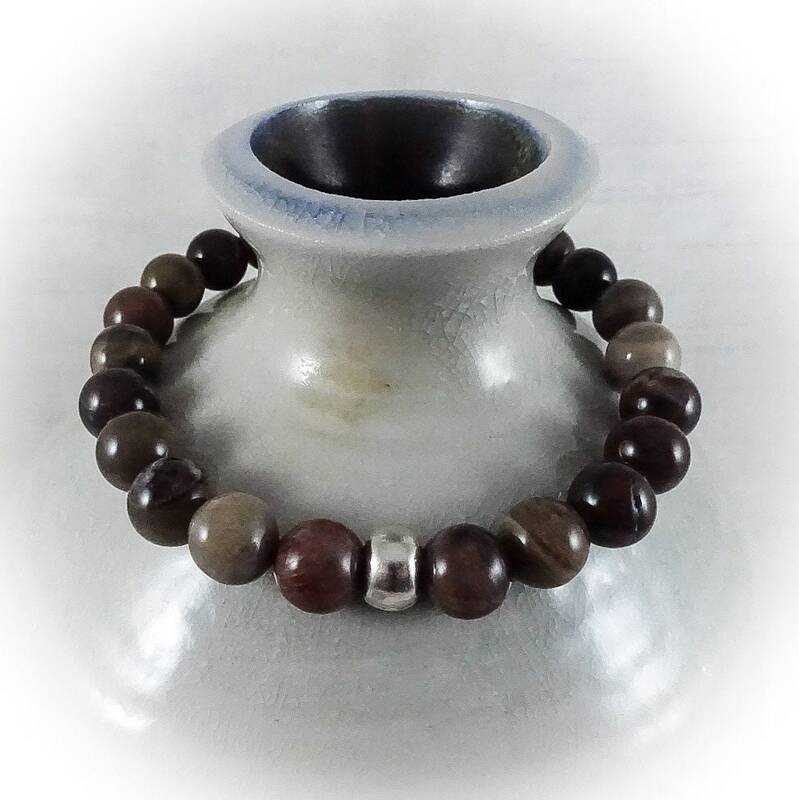 Made of petrified wood, these tan, brown, and warm mahogany-colored beads are strung on elastic to make this the perfect, hassle-free women's bracelet. 7 inches in length, this infinity style bracelet with elasticity allows for customary wear by stretching to fit around the hand, and wrist. Priced at $50, featuring a sterling silver accent bead. “The Outlook Series.” You can’t always control the situations you end up in or the negativities you encounter, but you can control how you choose to respond and react to them. We won’t be remembered by the number in our bank accounts or number of collegiate degrees in our picture frames. We are not the number of holiday cards we receive or the number of miles we run in a week. We are memories and stories. We are smile-lines and crow’s feet. Our outlook on life shouldn’t be defined by quantitative values that others can see and judge, but by the times we had the chance to give up and we chose instead to get out of bed. Each bead on your bracelet in the “Outlook Series” is a compilation of stories and moments, good and bad. The times when you wanted to give up. Times when you proved to yourself that life is beautiful and that you are alive. The elasticity of the band symbolizes your ability to adjust, adapt, grow, and change. Wear these bracelets to remind yourself that you are in control of how you handle every situation life throws at you, no matter how stressful or malignant it may be. A change in your outlook could change everything.